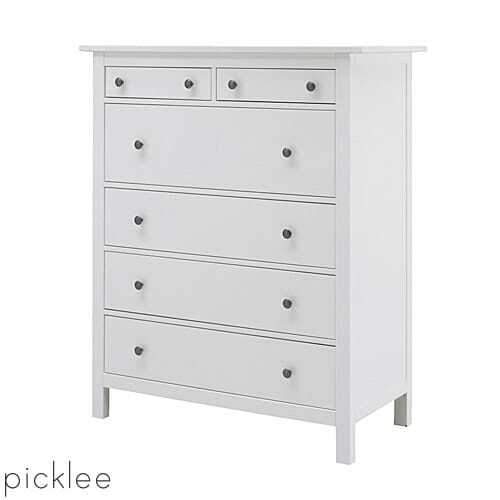 We purchased two of the Ikea Hemnes tall dressers for less than $200 each. 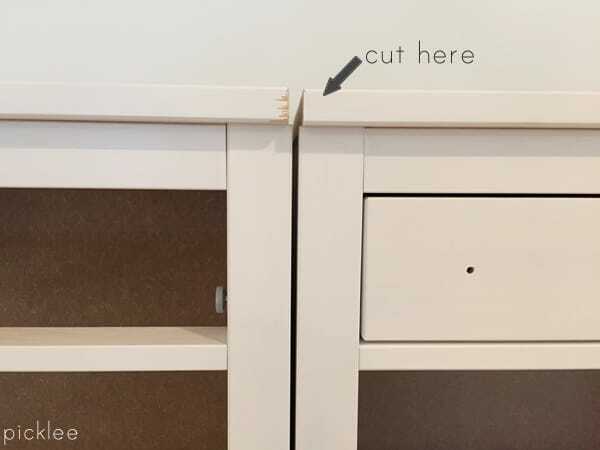 First, we trimmed off the tabletop overhang so that the dressers would sit tightly up against each other. 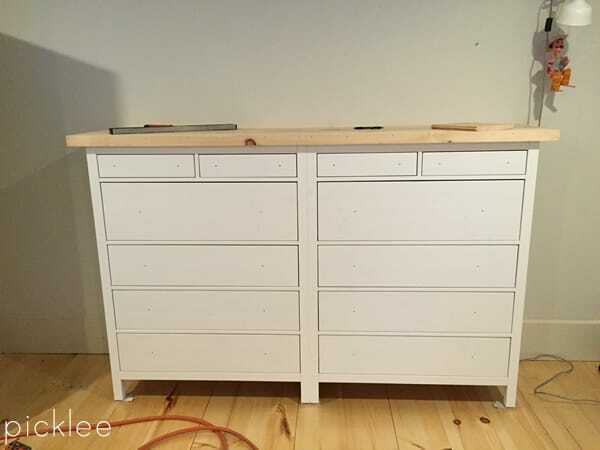 Next, we used screws to attach the two dressers together from the inside. 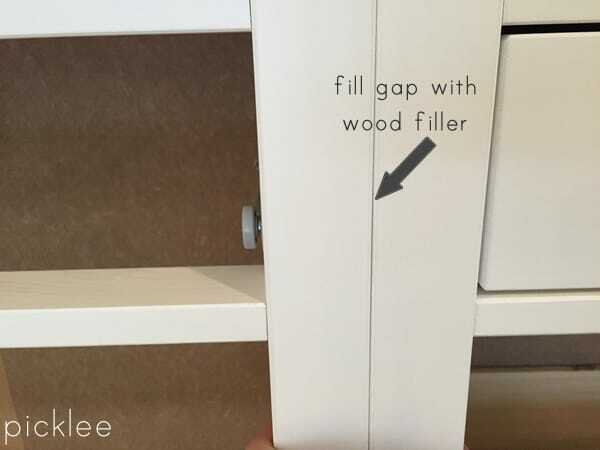 After the dressers were attached, we used wood filler to minimize the seam where the two dressers met. Next, it was time to build a custom top! 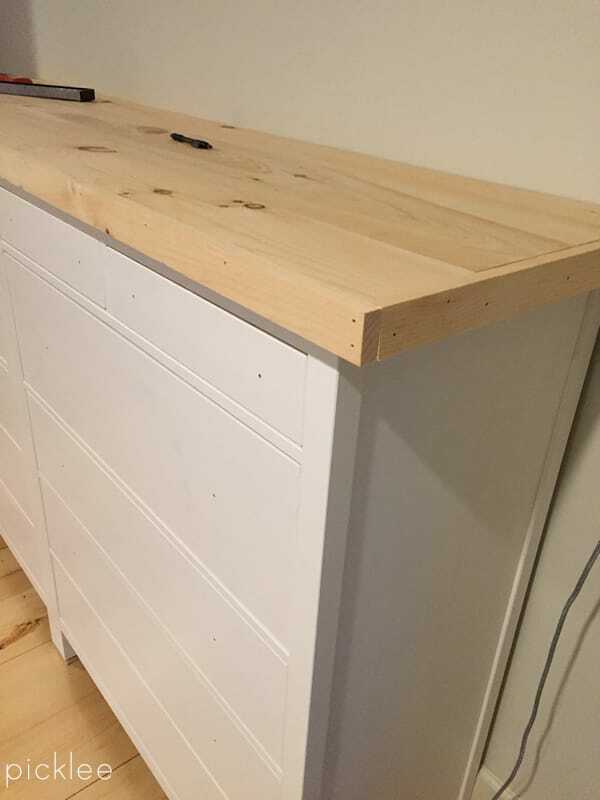 To build the top, we ended up using pieces of pine flooring that we had left over, but you could use just about anything. First, we cut and attached pine boards to the existing table top. Then we cut 2″ strips for the frame and face nailed them to the existing table top to give it a more finished look. 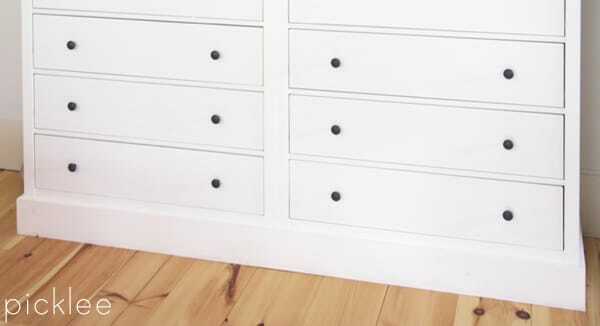 Next, we cut baseboards for the bottom of the dresser to give it a more built-in feel. 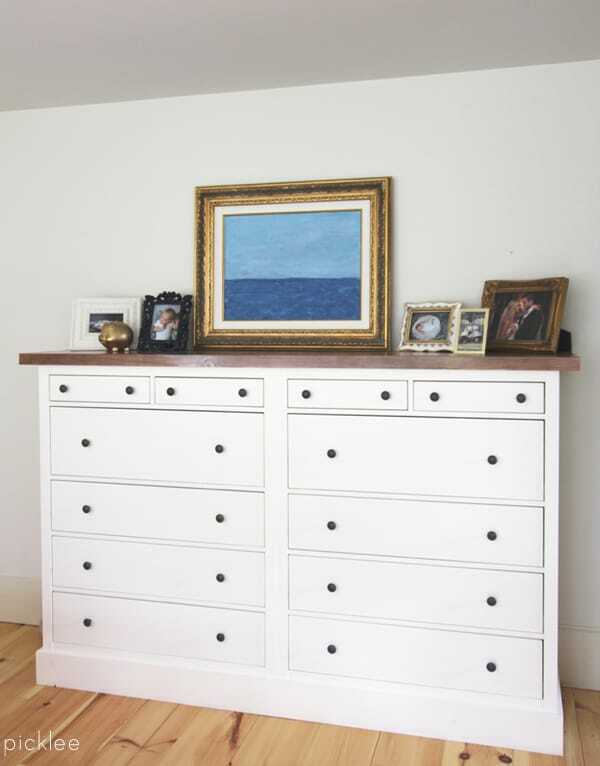 Finally, I gave the dressers a nice coat of off white paint and applied a medium brown stain to the dresser top. To protect the top I applied two coats of Minwax High Gloss Poly! 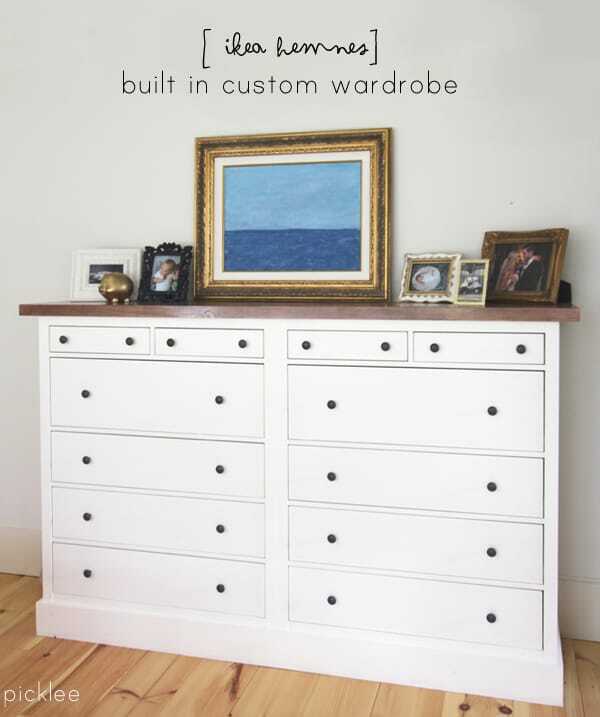 We completed this DIY built in dresser in 2015 and are still loving everything about it to this day!